Letters & Figures to be ordered separately. 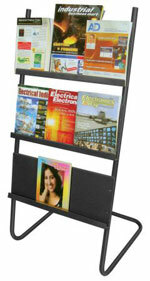 Very convenient and elegant steel black powder coated stand for display of magazines in hotel lobbies. 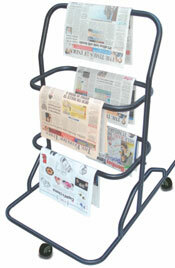 Very convenient and elegant steel black powder coated stand for display news papers in hotel lobbies.